She is approximately 16.5 inches tall; she is from the Cathy Collection. 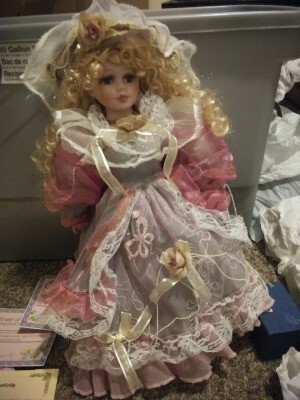 I want to know which doll she is and how much she is worth? Just to clarify, the back says Cathay vs. Cathy. This will help you if you want to continue to research her. The Cathay dolls are sadly one of the brands that have not held their value. I can't find an exact match to the look on any of the website I frequent to find current market values. There are a ton of "similars" but no exact. The similars are sitting unsold on every website I have checked. There are just to many out there. If you find an exact match that sells (SOLD PRICE) that will give you today's current market value. I can tell you that generally this brand will sit on any website for months, if not years in the $5-10 range and not sell (these are ones that are in the original box and never opened. If the dolls don't have the box, they sell for even less. I wish I had better news for you. I find it so sad. 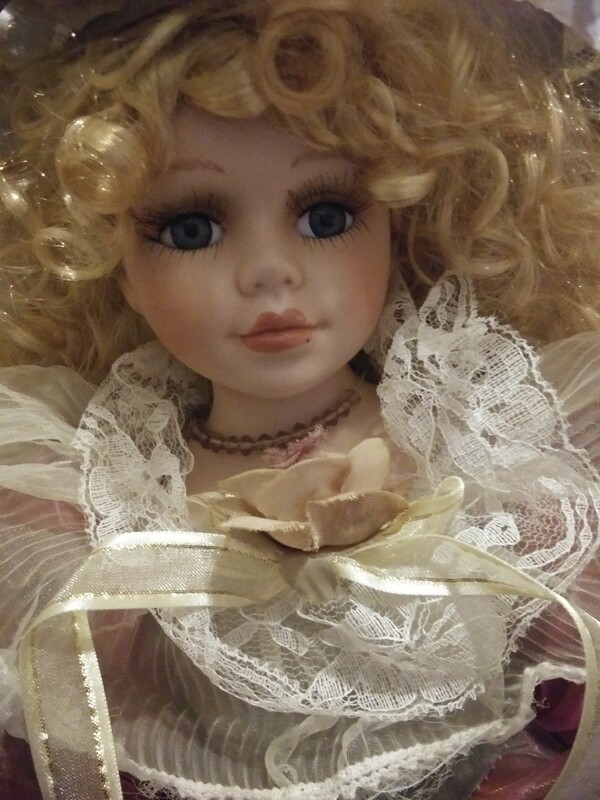 I always tell people the best thing for most of the dolls made in the 70s-90s i to find a loving child who will adore it!! That is the best value! This is a Cathay doll. These dolls are mass-produced and usually worth much less than the original buyer paid for them. You can get them for $10-$25 on eBay.